Hello hello! I read quite a bit this month – which always makes me happy. There’s nothing quite like getting lost in a good book is there? To Kill a Mockingbird by Harper Lee – While set in a sleepy town in Virginia, the events that take place in Scout Finch’s childhood, rock the residents of the town. Seasons of the Heart series by Janette Oke – Watch for a full review of this in the next few weeks! Swiss Family Robinson by Johann David Wyss – I finally picked up my own copy of this book. I’m excited to read it (I’ve been doing an audio version) and finally finish it! Ahhh time for book reviews again. I am trying to write more separate posts but what with the pain levels ever increasing, many end up here instead. I went through my library recently and pulled out some novels to read again to see if I actually want to keep them or not. (I was surprised to be able to pull a few off and easily send them on their way out the door.) With my limited space, I’m trying to be a bit pickier on what novels I keep (especially since we live so close to Powell’s bookstore and classics keep coming home with me). A few of these I read back in May, so no, I didn’t read this many books this past month. Timber Ridge Reflections by Tamera Alexander – click the link for my full review! My Life in France by Julia Child – When Julia and her husband, Paul, moved to France in 1948, she knew no French and nothing about food. Her experiences with superb food had her soon signing up for cooking classes at Le Cordon Bleu. Her passion for learning the secrets to what made each dish delicious ended up changing her life – and turning her into one of the most beloved cooking teachers and writers. ~ This memoir was enjoyable in every way. Child shares her travels throughout Europe along with the meals that made such impressions on her. It reminded me of a goal that I had years ago – that of cooking my way through her Mastering the Art of French Cooking, but alas, with all these food allergies, that will never be possible. Her dedication to detail in her recipes revolutionized the cookbook industry. A fun read about one of the most endearing American personalities. Bon Appetit! Sweet Blessings by Jillian Hart – Heath Murdock never expected anything more than a hot meal and a dry place to sit for a while when he entered the small diner. He ended up earning the trust and love of independent Amy Mckaslin when he steps in and helps out. 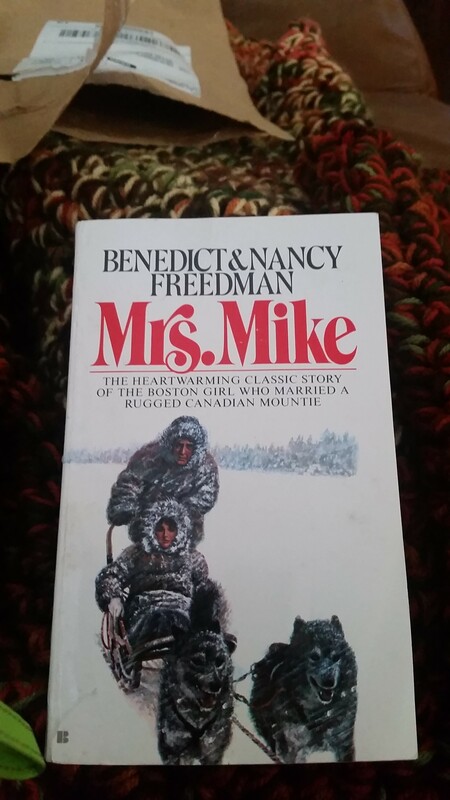 ~This is the second book in the Mckaslin series, but the only one I’ve ever read. It’s a sweet story of learning to let go of the past, forgive yourself and accept God’s love. It being a novella, I feel like the story could go deeper but Hart still brings depths to her characters. The Bride Bargain by Kelly Eileen Hake – Clara Fields can’t believe that her and her widowed aunt were abandoned by their wagon train on the way to Oregon. When help is offered by the owner of the general store in Buttonwood, Clara strikes a bargain that in exchange for marrying his son, she’ll get the house so that they will be independent of any man. But when she meets the son, a handsome doctor, sparks fly. ~A short story, the characters are engaging and the story is well-written. The struggles that Clara faces – inward and outwardly – as well as the son, a Dr. Reed, are often in opposition to the other, creating tense or confused moments! A fun, light read. Secrets by Robin Jones Gunn – Jessica Morgan just wants to live her own life and forget her past. She heads for a small town in Oregon to teach at the high school, hiding her true identity. She finds it harder than she had imagined when she meets a caring paramedic who just wants to help her and a devious woman who’s trying to destroy her. Will she let fear or love win in the end? Forgotten Justice by Lois Richer – All John Riddle can remember is a date – October 29th. He knows nothing else – not who he is or where he’s from. He’s found a temporary home in Camp Hope and a friend in the beautiful and determined lady in a wheelchair. As time goes on though, he wonders, is his presence at Camp Hope putting her in danger? ~ This is #2 of the Camp Hope series, but is still enjoyable as a stand-alone. I liked how Richer slowly revealed things in this romantic suspense. Near the end of it, I thought I’d figured out who John Riddle was but was totally wrong! Which, is always fun when they keep you guessing til the end. I told my OH that I’d love to read it as a lot longer story – maybe as 500 pages? I feel like there could be so much depth added to it! But it is a fun, quick suspense just as it is. Revision and Self-Editing : Techniques for Transforming your First Draft into a Finished Novel by James Scott Bell – This was SUCH a great book on self-editing! I grabbed it from the library on a whim one day but really think I’ll end up buying it. It had some great tips throughout along with exercises to do so that you can practice what he’s teaching. I took a whole lot of notes on it, and this is the only time I wrote on on my novel in June – working off his suggestions. I highly recommend this as a book to help you polish up your novel! Messianic Jewish Manifesto by David H. Stern – click for a full review! Linking up to The Reading Roundup again! 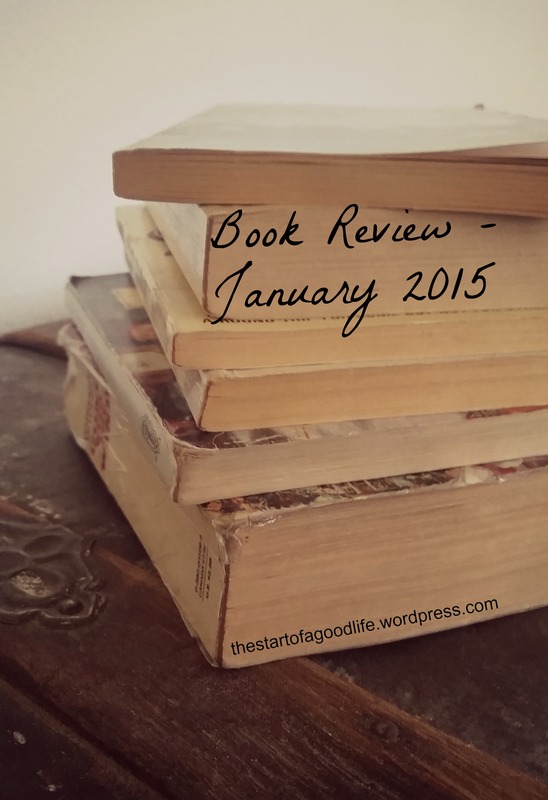 Welcome to the first book review of 2015!!! How exciting!! On goodreads, I have a goal of reading 50 books this year. Seems quite reasonable to me, that’s only 4 books a month, right? Easy peasy. I mean, I’m currently reading 4 right now, with another one on the bottom of the stack to start whenever. My fellow book-lovers, that made perfect sense to you, I know it did. Well, I’ll get right to the reviews! Torah Rediscovered -by Ariel and D’vorah Berkowitz – This book shows how Jews and non-Jewish believers can honor the Torah. And also how years of neglect and abuse have muddled the difficult issues in the Torah, and clarifies them. You might recognize this title as I started reading it mid last year, but as I never finished it, I am starting it all over again and will finish it this time! It is such a well-written book, and written so that I can understand! Happy Wives Club – by Fawn Weaver – One night, Fawn started a club to get women who love being married together and speak positively about marriage. Very quickly it spread like wildfire across the world – and Fawn traveled around it to speak with some of these women/couples in order to find the secrets of a great marriage. I have enjoyed reading this so far. I am reading it as a part of the Meaningful Marriage Study group that I am a part of on facebook. It is a light read and getting to ‘meet’ these couples has been a joy and through each couple something new stands out to me and makes me pause in contemplation. I very much recommend it! 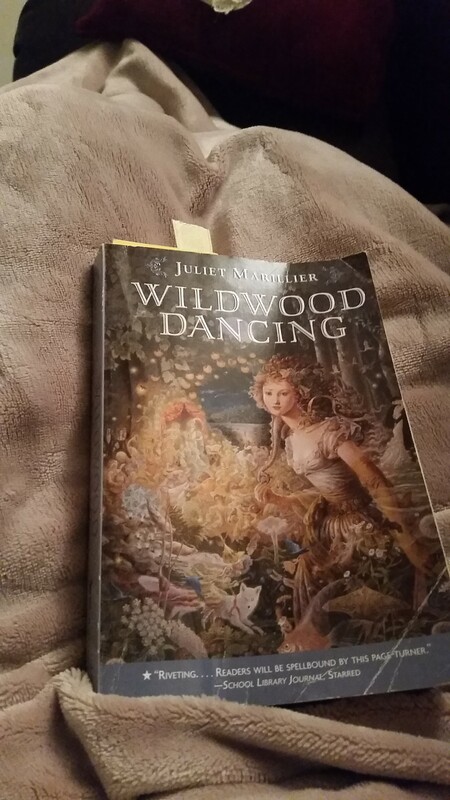 Wildwood Dancing -by Juliet Marillier – Jenica and her sisters and father live in the Transylvania woods, in Piscul Draculi – a castle that hides a portal to the Other Kingdom. Every month, with her sisters and pet frog, on the Full Moon, they go through the portal and dance the night away. But at home, in their world, everything is changing, and soon, events will bring their two worlds together and change everything. Forbidden love – Unswerving anger over an act of betrayal – an enchanted frog – and the ultimate test of trust. I mean, really, can you get any better than that in a story?? Sigh of contentment. A friend suggested this book to me years ago and I now read it a few (or several) times a year. I am pretty sure I’ve talked about it here on SGL before too. If you like a bit of magic and fantasy, this book is for you. (for those of you that are not sure, let me also say that I don’t read very much magic/fantasy but still love this one) Plus, my OH surprised me recently with a copy of my very own! Lousia May Alcott : Her Life, Letters and Journals – Edited by Ednah Dow Cheney – This book gives an intimate look at one of America’s most beloved authors. It was originally published in 1889 (!! ), just one year after her death. Combining her letters and journal entries with comments from a family friend (Cheney), shows how ‘faithfully and fully she performed whatever duties circumstances laid upon her’. I really enjoyed this book, even though it took me over a month to complete it. I talked about it here and still recommend it for any young/older woman to read as motivation to keep at our tasks of loving and taking care of our families. And for the book that’s on my list to start in the near-future – Heal Your Headache by David Buchholzm M.D. – this book has the “1-2-3 program for taking charge of your health”. With answers to questions that nearly all headache sufferer asks, this book is a treasure-trove of information, based on ‘the breakthrough understanding that virtually all headaches are forms of migraine.’ “Step 1 – Avoid the Quick-Fix. Step 2 – Reduce Your Triggers. Step 3 – Raise Your Threshold” – I have owned this book for a few years now, after having been recommended to it for years by several doctors. While I have read bits and pieces of it, I haven’t ever read all of it. I highly recommend it to fellow headache/migraine sufferers from the bits I’ve read though. Two boards for you to check out on my pinterest page – SGL (that way you’ll never miss a post if you don’t want an email!) and my quotes and books board!